Samsung has applied for a patent for an insane 3D television / 3D monitor with a three-dimensional user interface that can be connected to your smartphone. The use of 3D display technology is not new, but is still being developed. There is a growing need for 3D images, which make it possible to perceive depth. 3D display devices are interesting for medical and military applications, but of course also for home and work use. At CES 2010 you couldn’t miss out on the large number of 3D televisions. In March 2010 Samsung was among the first to launch a 3D TV, the Samsung C7700 LCD TV. Yet the 3D-hype did not last long, the biggest disadvantage was obvious that you need glasses to experience the content in 3D. It seems this might change in the future, possibly Samsung will pioneer again. On January 15, 2019, Samsung was granted a patent from the USPTO (United States Patent and Trademark Office) for a ‘three-dimensional display device and user interfacing method therefore’. Although the patent had been submitted much earlier, the technique discussed is very advanced. 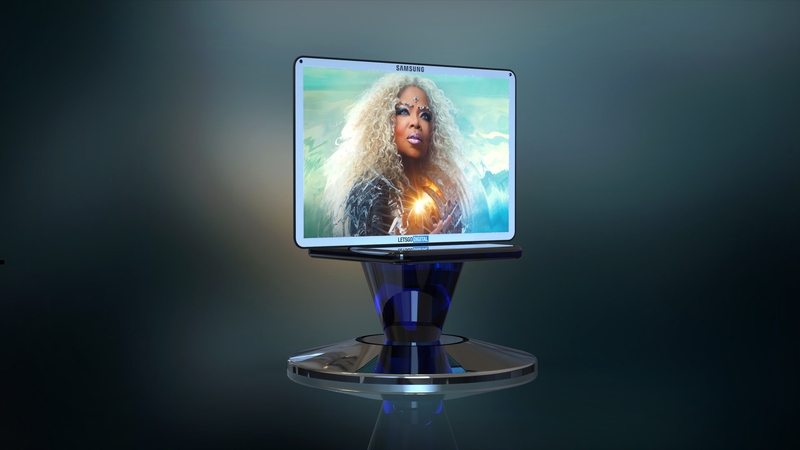 The patented Samsung 3D display device may be a 3D television or a 3D monitor that can connect to a smartphone or tablet. 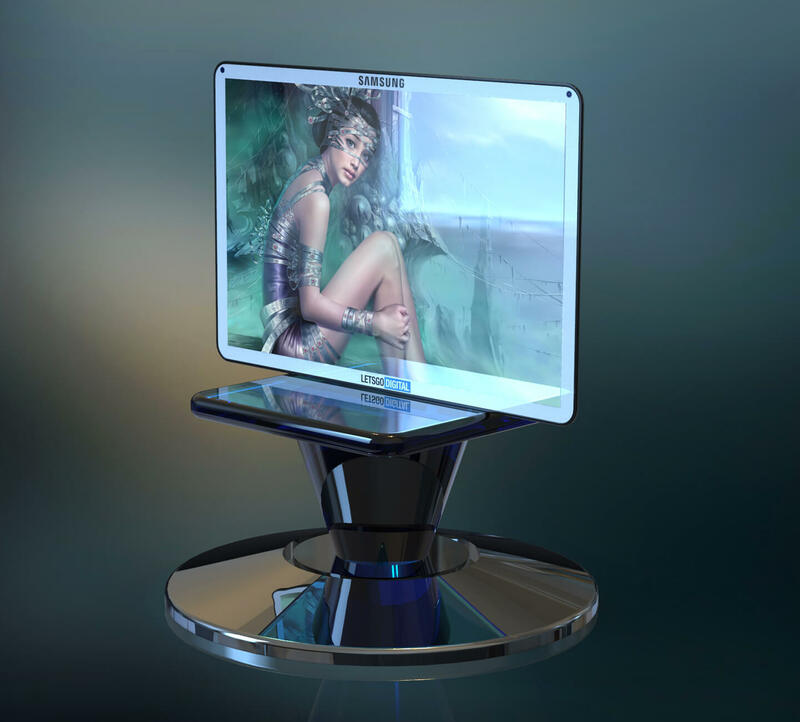 The three-dimensional display device can show different types of content, such as 2D / 3D videos or photos, but also 3D games. Even though the enclosed patent illustrations and our 3D renders showing a flat view, the content may also be presented in a cube-form. Thanks to the use of a camera, the device can also create 3D content itself, for example of objects. The camera can recognize different types of objects, the user interface will be automatically adjusted accordingly and relevant information can be displayed, such as sale information. 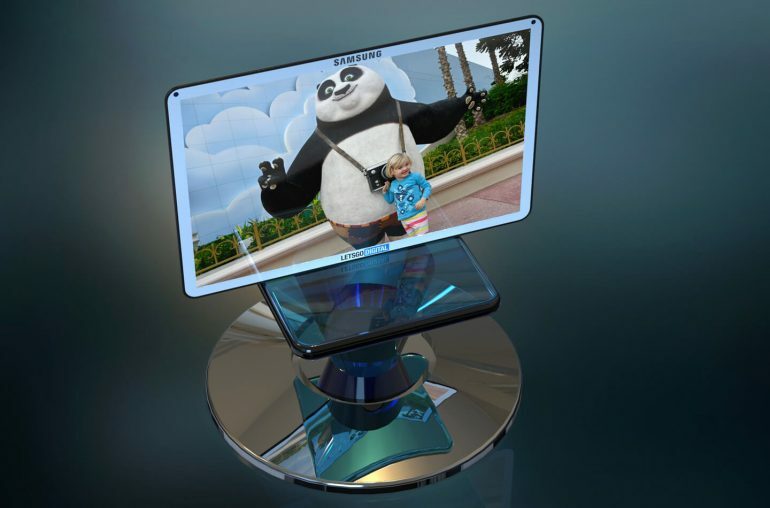 The Samsung 3D display device comes with a 3D user interface, instead of a 2D interface as is being used for far most all current 3D displays. A detection sensor (such as an IR sensor or an ultrasound sensor) in integrated to detect when contact is made with a virtual object in a 3D space. For the operation of the 3D display device, several possibilities are mentioned, like touch operation, but also operation via a touch pen. The device can transmit and receive information to a smartphone. 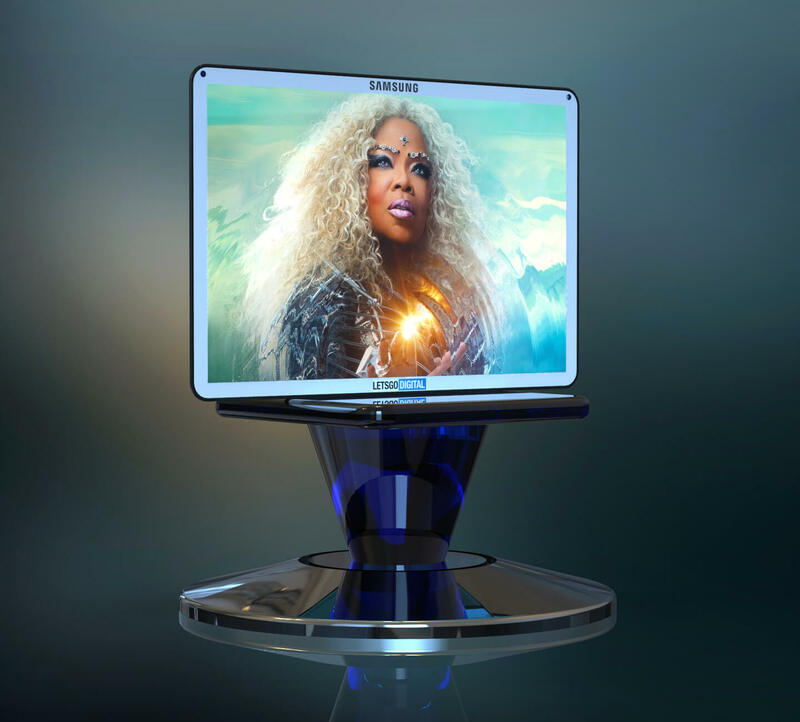 For example, when you make a video call via your smartphone the person you are talking to can be displayed on the Samsung 3D display. If you share a music file, the file can be shown directly on the screen and played back. Whether Samsung will actually bring such a device to market remains to be seen. However, it is certain that Samsung is still exploring new possibilities for displaying 3D content. 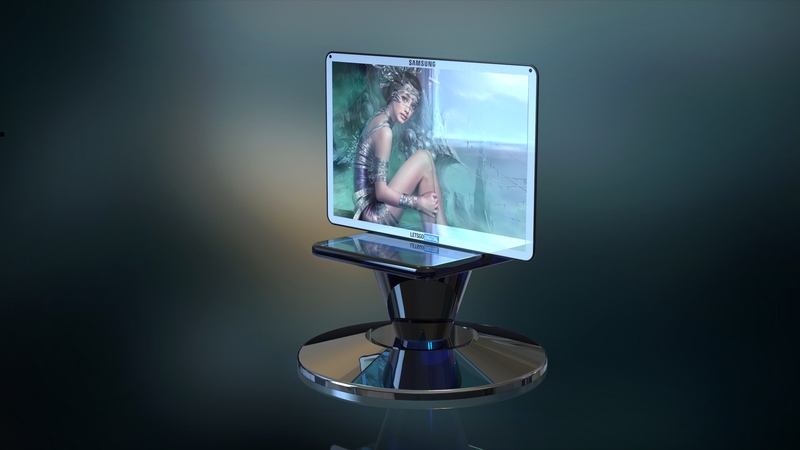 Last month LetsGoDigital also reported on a Samsung 3D hologram smartphone. In addition, the Korean company filed a trademark for TISPLAY today, which seems to be software for virtual advertising. Here you can find the USPTO patent of the Samsung 3D display device. 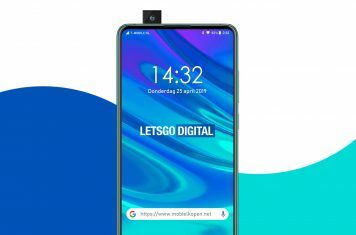 Note to editors: The copyright protected 3D renders presented in this article are produced by LetsGoDigital and based on the patent from Samsung. The pictures can be used for reproduction in any online publication if you add a credit source link to our website. Thank you very much for understanding.